​The Overwatch Archives event will return in April, but there are no indications as to what the event will focus on. In the event's first iteration, fans were treated to a pivotal moment in Overwatch's history, while the following year brought fans to an important mission for Blackwatch. It is likely the next iteration of the event will focus on Talon, seeing as it is the only group that hasn't been featured in the Archives event. So where will the next Overwatch Archives event take fans? What would a Talon mission look like in Archives? Five playable heroes are active Talon members (Doomfist, Moira, Reaper, Widowmaker, and Sombra). Baptiste, who ​will be added to the game as Hero 30, is a former member of Talon -- though that fact works out for the Archives event. All Archives game modes take place seven or eight years or so in the past. Baptiste's former affiliation with Talon was probably still active eight years in the past. The specific amount of time he spent with Talon is unknown, but, based off the hero's ​origin story, it is likely his time with Talon is closer to present day. If a Talon event was on the way, there are three other heroes in Overwatch who would fit in the standard four-player games in Archives. Moira, who is implied to be a ​double agent for Talon during her time in Blackwatch, Doomfist, who by this time would already have overthrown Akinjide Adeyemi (the second Doomfist), and Sombra. At this point in the past, Reaper would still be Gabriel Reyes (with Blackwatch), and Widowmaker was still Amélie Lacroix. Doomfist was incarcerated at some point but it is unknown what specific year it happened, only that Overwatch was still functioning at that time. Because it isn't likely a new map will debut with the event, Blizzard has a few options for the event. Last year's event was in Rialto, which wasn't officially added as a new map until after Archives was over -- but players shouldn't hold their breath for another new map. Which means Paris might be a good candidate for a new mission to take place, since it is the game's newest map. If the event will take place in Paris, then it is possible Widowmaker will be involved -- not as a playable hero, but as a target. There is little information known about Talon's history, but the biggest moment in the organization that wasn't visited through other forms of media is Amélie's kidnapping and torturing that led her to become Widowmaker. Amélie was still in France at that time, though her base is in Annecy, France. She came from a wealthy family, so it's hard to believe she wouldn't be in Paris now and again. Blizzard didn't disclose a specific timeline regarding when she was kidnapped and turned into a sleeper agent (Widowmaker) for Talon, but it is known her husband ​survived the attack on his life, seen in the Retribution comic. The next Archives event could take place a year after Retribution, when her husband is healthy and Amélie is still herself. 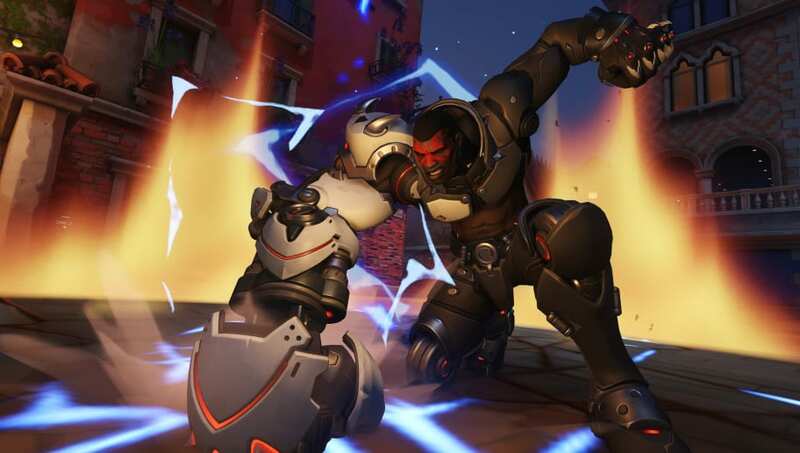 Baptiste's skills as a combat medic could catch the eye of higher ranking Talon members, and it is possible he was chosen to accompany Moira, Sombra, and Doomfist on the mission. Sombra would have the intel on where Amélie would be, Doomfist would spearhead the mission as he attempts to rise through the ranks in Talon, and Moira would be fully employed with Talon as her involvement with Blackwatch was discovered a year earlier. In this event mode, the Talon crew would have to locate Amélie in Paris, possibly fight off Overwatch agents or bodyguards, and successfully kidnap her. The large areas in the Paris map would be perfect for sneaking around with Sombra's Themoptic Camo and Translocator and Moira's Fade. Doomfist would be in the thick of fights and Baptiste would be healing his team while also doing his fare share of fighting. The Archives event won't go live until April, and it might be too early for teasers to begin dropping. Fans will need to look forward to the coming weeks for hints from Blizzard on what the focus for this year's Archives event will be.